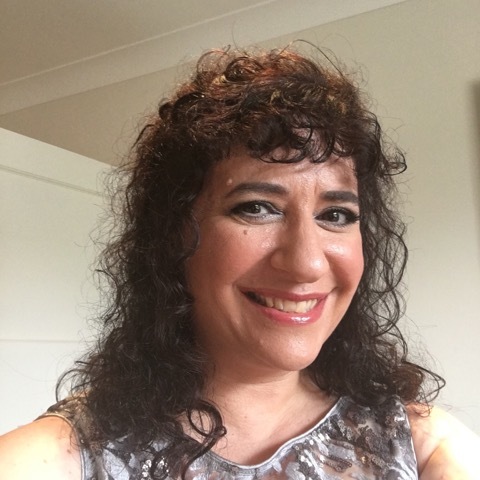 Today’s guest is Vicki Goldman, a freelance health journalist with over 20 years’ experience of writing about health for consumer magazines and pharmacy publications. She is also one of BUPA’s freelance health editors. I began reviewing books at the end of December 2014, so my blog is now around two years old. I already had two health blogs (to tie in with my day job as a health journalist) and thought it would be a great idea to review books as well. Not surprisingly, the book reviews took over and I closed down my two health blogs shortly afterwards, as I didn’t have the time to keep all three running. I follow several blogs and have made many reviewer friends over the last two years. One who really stands out for me at the moment is Joy Kluver. You can find her blog here https://joykluver.wordpress.com As well as reviewing books, Joy writes up great summaries of crime fiction events, such as First Monday Crime, so everyone should follow her! What books/writers were your gateway drug into reading in this genre? Have your tastes changed over the years? As a child, I was obsessed with crime fiction and adventure stories – Enid Blyton’s Secret Seven, Willard Price’s Adventure series and Nancy Drew/Hardy Boys. As a teenager, my love of crime continued (e.g. Agatha Christie) and I also read a lot of Stephen King and spy thrillers (my Dad’s books – Alistair Maclean and Desmond Begley) for while. I then began reading Kathy Reich, Janet Evanovitch, Lindsey Davis and other similar series. Thinking about it, I guess my tastes haven’t changed THAT much over the years. But I now read a much wider range of authors and I’m discovering new ones all the time. Since I started blogging, I’ve also branched out into some fantasy, dystopian fiction and more general fiction. There aren’t many genres I don’t/won’t read, although I still mainly love crime and psychological thrillers. Ebooks are convenient – my Kindle goes with me whenever I leave the house. But I still love the feel of print books and probably read these more often. Occasionally I read books more than once – these have always been print books, not ebooks. I feel sad that so many brilliant books aren’t getting noticed or bought, as many people just look at the 99p books, which are often those at the top of the Amazon Kindle chart. Good books are priceless, can be read again and again and should be cherished. I tend to pay more for print books than ebooks, mainly because they are priced that way, but if I want to read a book, I’ll buy it whatever it costs. I’m now developing a love of limited edition hardbacks from Goldsboro Books. I love a stunning book cover. But it doesn’t necessarily influence whether I’ll read the book or not. If I notice books on Twitter or a Facebook group, it’s often the blurb or a review that captures my attention. 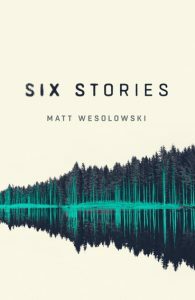 A cover that did jump out at me recently is that of Six Stories by Matt Wesolowski, which is being published by Orenda Books in March 2017. The cover is VERY clever. 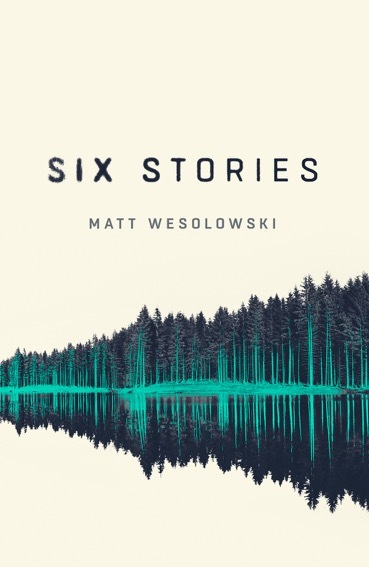 The book is a murder mystery involving a series of podcasts and a crime in deep woodland – the eye-catching cover features a sound wave in the trees. I should add that I’m reading an early version of the book at the moment and it’s BRILLIANT! I’m usually drawn to authors by word of mouth – through publishers or other reviewers. But occasionally I’ll find a new author by browsing on Amazon, Twitter or Facebook and looking at the blurb. Great writing, intriguing plot and believable characters. I don’t necessarily have to like the characters but it does help. I enjoy reading ‘literary fiction’ and immersing myself in the descriptive narrative, but only if this fits in with the pace of the book. I’ve read a few well-written books (including psychological thrillers) that get bogged down with detailed descriptions that detract from the plot. No, but if it’s a review book I do feel guilty. Fortunately, it doesn’t happen very often. I have realised that life is too short to read books I’m not enjoying – there are just too many books out there that I want to read. Like many others, I am a bit fed up with comparisons to ‘Girl’ books and also the strong focus on the twists at the end, or in the middle, or wherever I’m told they are. I expect most of the books I read to have at least one twist – I mainly read crime and psychological thrillers. But I don’t need to know exactly where it is, or even if there is one. I can work that out for myself. I am finding a lot of books a bit ‘same-y’ at the moment, so I’m always on the look out for something a little ‘different’. I have always wanted to write a novel – I dreamed about it as a child. I studied biomedical science at university, with plans to do a PhD in forensic science and then write crime fiction. But in my final year of my BSc., I developed an interest in health writing. I completed an MSc. in Science Communication and became a health journalist/editor instead. My love of fiction writing has never gone away though. This entry was posted in Uncategorised on 4th December 2016 by MJM-Ink.